Banco Bilbao Vizcaya Argentaria SA (BBVA) is a Spain-based international financial group with presence in 32 countries. The Company’s activities are focused in such business units as banking, pension and insurance in Spain and Portugal, Mexico and South America. In the USA and Puerto Rico, the Bank only comprises banking business. In addition The Company has two cross-sectorial business units, Corporate and Investment Banking and Global Retail & Business Banking, which includes retail banking, commercial and small and medium enterprises (SMEs) banking, payment systems, consumer finance and private banking, among others. BBVA is a parent company of Grupo Banco Bilbao Vizcaya Argentaria, which comprises such entities as BBVA Banco Frances SA, BBVA Capital Finance SA, BBVA Senior Finance SAU and BBVA International Limited, among others. On March 7, 2012, BBVA acquired the whole ammount of shares in Unnim Banc SA. For anyone interested in evaluating this company they should take a look at a very good 3-part article written by Caiman Valores on seeking alpha. Part 1 of the article can be found here. This is one of the best analysis on the bank that I’ve seen. Now to the trade. I sold 4 BBVA $8 April 20th ’13 Puts @ 1.05. I received $420 in premiums and if assigned I would own an additional 400 shares of BBVA @ $6.95/share not counting commissions. This would bring my cost basis down slightly from $7.31/share currently to $7.13/share. I have two other active options trades on BBVA that you can find on my options tab. I wrote about that “short straddle” trade here. If all 3 options get assigned I would add a net of 600 additional shares bringing me to my limit of 1008 shares of BBVA with a cost basis of $6.23/share. I’m Long BBVA and willing to commit to a max of 1000 shares. As of yesterday’s close I’m up 11.8% if I sold my shares. Note: Unlike the rest of my holdings in my DG portfolio, BBVA does not have a streak of raising dividends, it is merely a speculative income holding and may get moved to my income portfolio. I sold 1 Jan 19 ’13 call on TSM right before the bell @ .91. The company is close to its all-time high from what I can see and it’s currently only yielding around 3%. This is definitely too low for my Income Portfolio. I’m up about 33% from where I bought it so I figured it’s time to keep selling calls until it’s called away and buy something with a higher yield. Next month I plan to add my income portfolio to my portfolio tab. I currently own only 3 companies with 100 shares each of EXC, APL, and TSM. This trade has been added to my options tab. 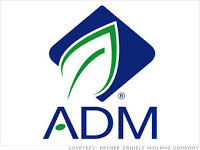 Today I sold 1 Archer Daniels Midland (ADM) Dec $25 put @ 1.31. If assigned this would give me a purchase price of $23.69 not counting commission and assuming they raise the dividend another .015 by the end of year then I’d own ADM with a YOC of 3.2%. With a history of raising dividends for 36 straight years I believe this would be a solid company to pick up. I’ve updated my options tab to reflect this trade. So I had a few options transactions on Friday that I’m reporting. First I had my Vodafone July 21 ’12 $27 Puts expire worthless so I ended up collecting the whole $145. Secondly I was assigned 300 shares of BBVA @ $7 for a cost per share of $6.45 since I collected $.55 in premium from selling the puts. I mentioned the inital trade here and I now own a total of 405 shares at a cost per share of $7.27. Finally, I had set another limit order to sell 4 BBVA Oct 20 ’12 $5 Puts @ .40 which were executed. I collected a premium of $160 before commissions. If these additional 400 shares get assigned I’ll own 805 shares of BBVA at a cost of 5.94/share before commissions. I have updated these trades on the options tab. WAG is up over 10% after deal is signed. Walgreen Co. (WAG) and pharmacy-benefit manager Express Scripts Holding Co. (ESRX) announced a new multiyear reimbursement agreement Thursday, ending a seven-month dispute that had prevented millions of patients from getting their prescriptions filled at the nation’s largest pharmacy chain by store count. Financial terms of the agreement were not revealed. Walgreen will become available again to Express Scripts clients as of Sept. 15. Walgreen had felt the pressure of the dispute more directly than Express Scripts as the drugstore chain lost customers to rivals such as CVS Caremark Corp. (CVS). Walgreen also faced the prospects of losing millions of more customers following Express Scripts’ acquisition of another pharmacy-benefits manager, Medco Health Solutions. The drug-store chain declined to comment beyond the press release. Shares of Walgreen surged 12% to $34.71, returning to positive territory for the year, as investors cheered the news. The stock was the strongest performer in the S&P 500. Shares of Express Scripts also gained, up 2.2% to $58.93. PBMs like Express Scripts handle drug benefits for health plans and corporate clients and strike deals with pharmacies over prescription reimbursement rates. Walgreen’s same-store sales had suffered each month since the contract expired, as customers had been forced to shift their prescriptions away from the drug-store chain because of the impasse with Express Scripts. Investors were likely relieved customer attrition could slow, although it was unknown whether the departed clients would return to Walgreen’s stores. Morningstar analyst Matthew Coffina said Express Scripts played the dispute “expertly,” helped in part by its Medco acquisition. In April, Express Scripts completed its $29.1 billion acquisition of Medco, which combined two of the largest pharmacy-benefits management companies in the U.S. At the time, Express Scripts said Medco clients would still be able to access Walgreen stores. “Because Express Scripts had the bargaining power here and Walgreen lost so many members, it is most likely Walgreen had to concede to Express Scripts demands than the other way around,” Mr. Coffina said. Drug-store retailers CVS and Rite Aid Corp. (RAD), which each launched marketing campaigns to court Walgreen’s customers, saw their shares decline on the news. Shares of CVS–which also saw its PBM business benefit from the dispute–slid 4% to $46.53, while Rite Aid dropped 5.5% to $1.21. Mr. Coffina said that while CVS and Rite Aid were likely rooting for the dispute to last even longer, the amount of time they had to win over clients was long enough that most wouldn’t transfer their prescriptions back to Walgreen stores. “Once a customer has their prescriptions on file, it’s hard to get them to voluntarily switch,” Mr. Coffina said. Walgreen left the Express Scripts network at the beginning of the year after the companies were unable to reach a new deal over reimbursement rates for dispensing prescriptions. Throughout the dispute, Walgreen maintained it should be compensated for its new health-care services that help patients manage their medications, while Express Scripts contended that under Walgreen’s initial plan, the company would be the most expensive pharmacy for basically doing the same thing that other pharmacies do. “This agreement is good for our shareholders, our employees and the patients and communities we serve,” Mr. Wasson said. Express Scripts accounted for about 88 million of the 819 million prescriptions filled at Walgreen in the year ended Aug. 31, and represented about $5.3 billion of Walgreen’s annual revenue, which was $72.2 billion in fiscal 2011. Walgreen’s sales have suffered since the dispute, despite efforts to retain customers, including a special discount on the annual membership fee for Walgreen’s Prescription Savings Club. After notching same-store sales growth in each month of 2011, sales so far this year deteriorated as demand on the pharmacy side of the business especially suffered. In June, for example, same-store sales dropped 10% as comparable pharmacy sales suffered a 15% decline. Victoria Stilwell and Jon Kamp contributed to this article. My total dividend payments for June were $212.44. This is the first time I’ve broken $200 in a month. I was also able to add 68 shares of WAG to my portfolio. You can see this purchase mentioned on this post. I have increased my forward 12-month dividends to $1690.71 from $1607.59. This is an increase of $83.12 or $6.93/month. I have updated this on my dividends tab. I only need to increase these dividends by $309.29 to meet my goal of $2000 in forward 12-month dividends. If my purchases average 3.5% yields then I will need to accumulate another $8836.85 worth of new stocks. On another note, I was able to close on my new house this past Friday. This is very exciting and will keep me busy all month with moving and getting things set up. I will also be working on renting out the condo I was living in. This will be my second rental property. I decided to close out my put with AZN today with the big swing up in the markets. The Oct 2012 $45 puts have had some wild swings since I purchased them trading from between $2.00 and $5.00. I closed out my position today at $2.30 for a small gain. If those puts trade back up to around $4.00 I will probably sell another one. I am also freeing up some cash for a likely PG assignment @ $62.50 soon. Profit: $70 before brokerage fees. Profit: $165 before brokerage fees. I’m happy to report that my blog has moved to it’s own domain, all about interest .com (no spaces). I’ve had an extra domain I purchased from Godaddy over a year ago in hopes that I would make time to create a helpful website aimed at investments. I decided I didn’t have time for that but I did have time to start a blog and keep up with trades I do on my Etrade account. I think the name is fitting for this blog as well. The exponential growth of my income from dividends is really “all about interest” and its compounding effects. So I decided over the weekend to link my google blogger account to my domain. I thought it would have been more difficult. It actually was really easy. I didn’t realize that google actually hosts your blog on their servers even when using your own domain name so I don’t have to pay a monthly server cost to Godaddy. I only have the annual name renewal which is fairly cheap at around $10 a year. The only major drawback is that Google owns your blog and content. They could decide to shut it down at a moment’s notice. However, I see this as highly unlikely. It’s not like I’m posting any controversial subject matter. While I would be disappointed if Google discontinued Blogger and shut it down, it wouldn’t be devastating. I would continue making trades and find another medium in which to write about them. That said, this blog has really given me a great way to track my portfolio and purchases. I feel that it actually holds me accountable for the goals I set. I also have met some very knowledgeable people along the way that have similar goals and interests. I’ve learned a lot about investing in the past year and yet I have a learn more to learn. 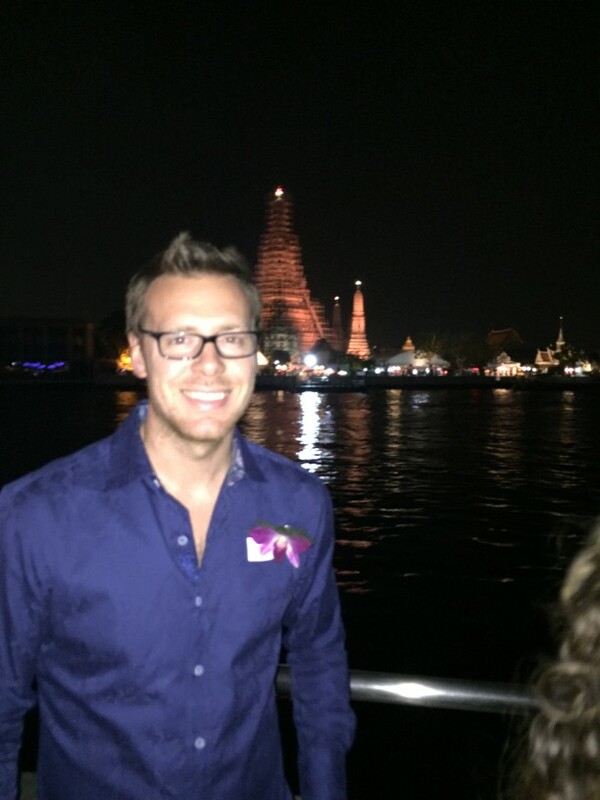 This blog will continue to be about my own journey to a life of financial independence. I placed my first “conditional” buy order today with Etrade. Basically, whatever stock hits my target first gets executed. I don’t have a lot of time to watch the market this week so this will save me some hassle. I have up to $1150 I want to spend on either of two companies so I set a “One Cancels All” buy order for CVX and OMI. If OMI hits 28.01 , 40 shares will be purchased and the order for CVX cancelled. If CVX hits 100.01, 11 shares will be purchased and the order for OMI will be cancelled. Another benefit of this strategy is that I need less cash on hand. I only need to keep cash of $1150 in my account for this order as opposed to twice that amount if I had two separate orders. Has anyone else placed conditional orders? Etrade has 5 categories: Bracketed, Contingent, One-Cancel-All, One-Triggers-All, One-Triggers-OCO. I will be exploring some of these options in the next few months. I purchased 35 shares @ 33.05/share giving me about a 3.9% yield on cost. The Dow Chemical Company (DOW) is a diversified manufacturer and supplier of products used primarily as raw materials in the manufacture of customer products and services worldwide. It operates in six segments. Dow provides services to a range of industries, including appliance, automotive, agricultural, building and construction, chemical processing, electronics, furniture, house wares, oil and gas, packaging, paints, coatings and adhesives, personal care pharmaceutical, processed foods, pulp and paper, textile and carpet utilities, and water treatment. Its portfolio includes specialty chemical, advanced materials, agrosciences and plastics businesses deliver a range of technology-based products and solutions to customers in approximately 160 countries. In March 2012, the Company’s subsidiary Dow AgroSciences LLC, divested its European Dithane fungicide business to Indofil Industries Ltd. I found out Thursday that DOW increased their dividend by over 25% which brought their dividend near a 4% yield. I decided to pull the trigger early Friday morning. This was my first trade using my cell phone. I have to say I am impressed with ETrade mobile. DOW wasn’t really on my radar until the huge dividend increase. I owned DOW for part of last year, I got in on 10/04 at 22.04/share and sold out on 10/11 at 26.98/share after the quick run-up. It turns out that I should have just held the shares. Although they cut their dividend during the financial crisis, they have almost increased it back to where it once was. With natural gas staying cheap, this is boosting their profits and I believe they can continue increasing the dividend for the foreseeable future.